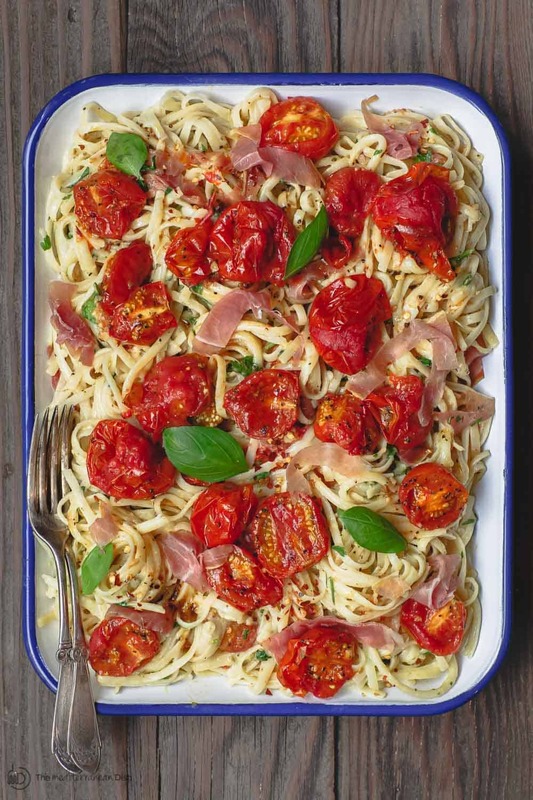 A lighter, flavor-packed easy carbonara recipe with garlic roasted tomatoes and fresh herbs. And be sure to see my tip for ensuring a creamy carbonara sauce without scrambling the eggs! Carbonara is a delicious pasta dish 20th century pasta dish from Rome. To create a silky, richer and satisfying meal, classic carbonara recipes employ these three ingredients: eggs, cheese, and pork (plus pork fat). And the main spice is decidedly ground black pepper. 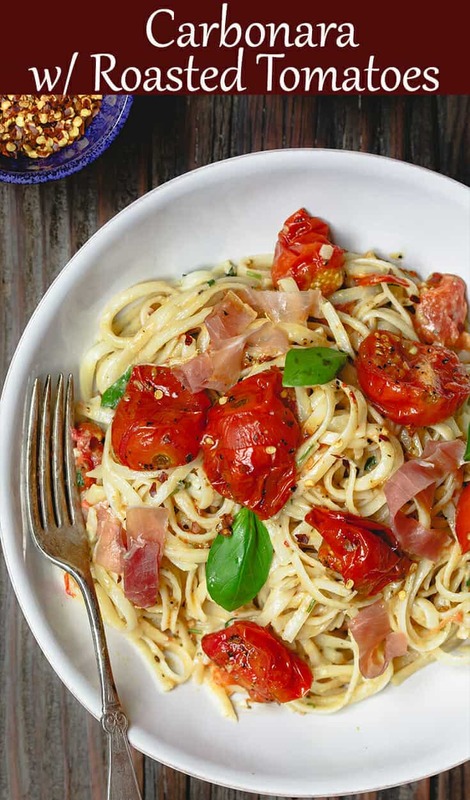 The roasted tomatoes add brightness and flavor in this lightened up carbonara! But for those who still need a little pork, feel free to toss in few ribbons of Prosciutto. A bit more on the carbonara sauce here. What’s in it? In addition to eggs and egg yolk (the perfect combination of 3 eggs and 1 yolk for just enough creaminess), I like to use a mixture of Pecorino Romano and Parmigiano-Reggiano. The two cheeses together deliver a balanced Roman flavor without making the pasta taste too salty or sharp. 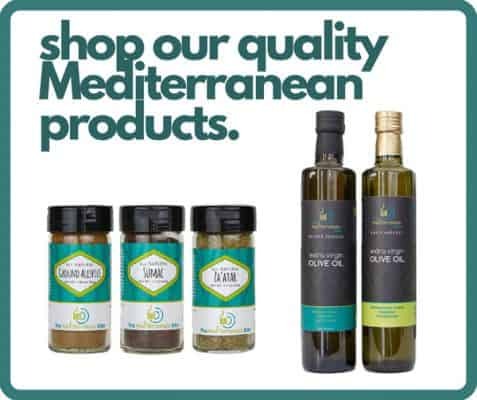 The fat is mainly delivered from quality extra virgin olive oil. 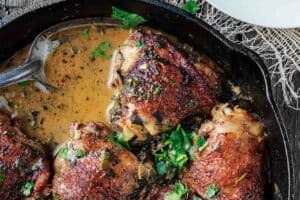 For more flavor and freshness, I toss in a healthy dose of parsley and basil! The biggest challenge many face when making carbonara is how to mix the pasta into the egg sauce/mixture without scrambling the eggs. You need enough heat to thicken the egg mixture and melt the cheese, but not too much heat that you end up scrambling the eggs. In this carbonara recipe, the heat we need is delivered through the use of a large mixing bowl that’s been heated with the hot cooking water from the pasta (see step #6). And working quickly to combine the pasta and the egg mixture will also help so you don’t end up with scrambled eggs (step #7). Follow this easy carbonara recipe, and you’ll have yourself a bowl of perfectly satisfying and extra bright pasta dinner! 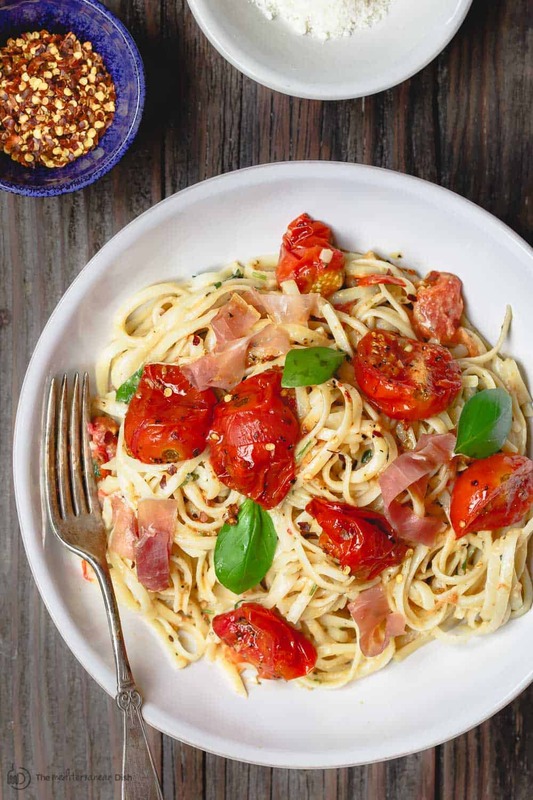 A lighter, flavor-packed easy carbonara recipe with garlic roasted tomatoes and fresh herbs. Follow our tips to ensure a creamy carbonara sauce without scrambling the eggs. A perfectly satisfying weeknight pasta dinner! 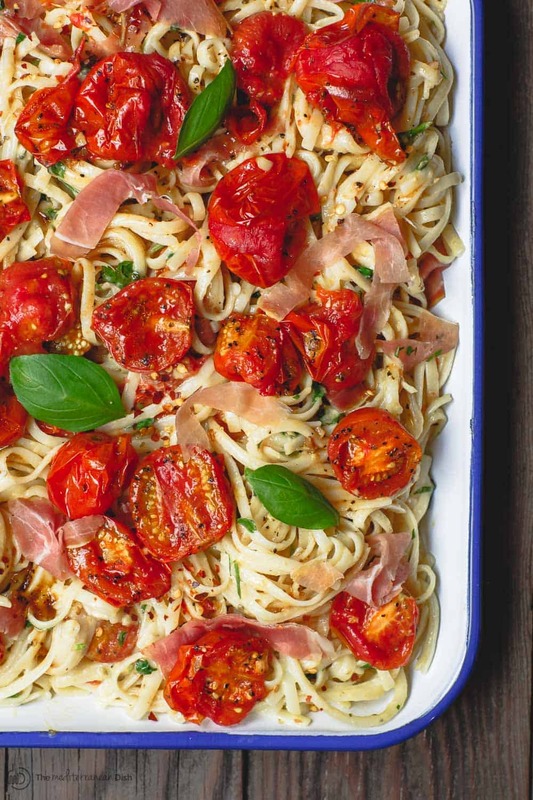 Place tomatoes on a large baking sheet. Add a generous drizzle of Private Reserve extra virgin olive oil. Season with kosher salt, pepper, paprika, and 1 tsp oregano. Add 2 minced garlic cloves. Toss to coat (make sure all the tomatoes are well coated with the olive oil, spices and garlic). 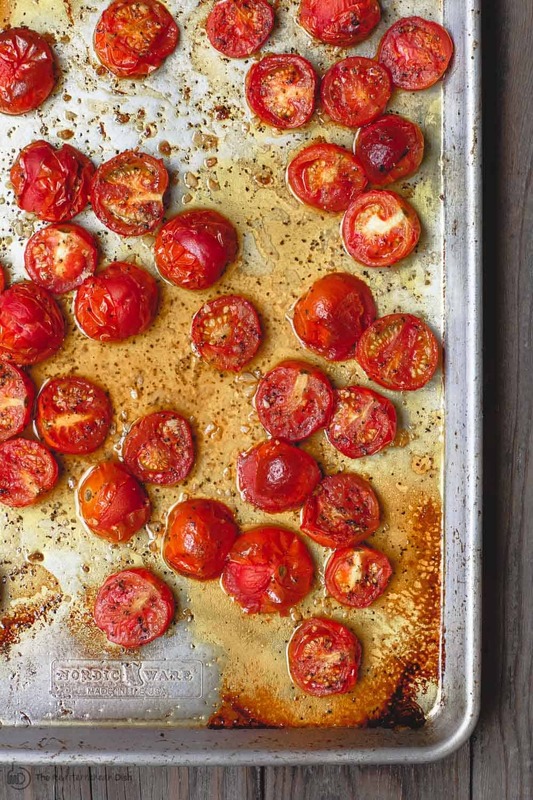 Spread tomatoes evenly on the baking sheet in one layer. Roast in heated oven for 20 minutes or so until tomatoes soften and collapse. Meanwhile, whisk together eggs, egg yolk, 2 tbsp extra virgin olive oil, grated cheeses, parsley, basil, 1 tsp dried oregano, pinch black pepper, and the remainder of minced garlic. Set aside. Cook pasta in boiling water according to package (adding salt and a drizzle of extra virgin olive oil to water). Carefully drain pasta into a colander set over a large mixing bowl (you need the hot pasta water to heat the bowl.) Reserve 1 cup pasta water, and discard the rest of the pasta water. Working as quickly as possible, toss pasta, ½ cup pasta water, and egg mixture together into heated bowl, adding more water as necessary, about 1 to 2 minutes. Add the roasted tomatoes and their juices (and if needed, a little more extra virgin olive oil). If using, add prosciutto ribbons at this point. Toss until everything is well combined. Serve immediately with a healthy sprinkle of gound black pepper on top. Have more grated cheese, basil leaves, crushed red pepper flakes, and Private Reserve extra virgin olive available for people to add as needed. Cooking Notes: 1) VERY important to toss the pasta in the egg sauce quickly so as to not scramble the eggs. 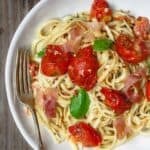 2) Typically, Carbonara pasta recipes rely on fat from cooked guanciale or pancetta, this lightened up recipe does not. You can leave the meat out all together or toss in ribbons of prosciutto at the end. From our all-natural spice collection: Sweet Paprika (adds great depth to the roasted tomatoes!) SAVE! Try our Ultimate Mediterranean Spice Bundle, or create your own 6-pack or 3-pack of spices from our all-natural or organic collections. Diane, I am so excited to hear this! Happy cooking! 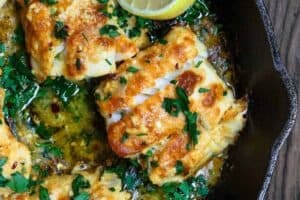 Will have to try this recipe. So glad that there is no cream in this recipe. So many recipes add cream. My question is Why? I don’t know who started the idea of adding cream, but it totally ruins a great dish. Many places in the UK do this, you can even buy the cream sauce in shops !! Mel, I am so with you! 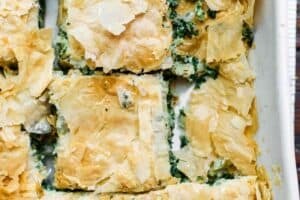 No cream is needed in this recipe. Hope you enjoyed it! 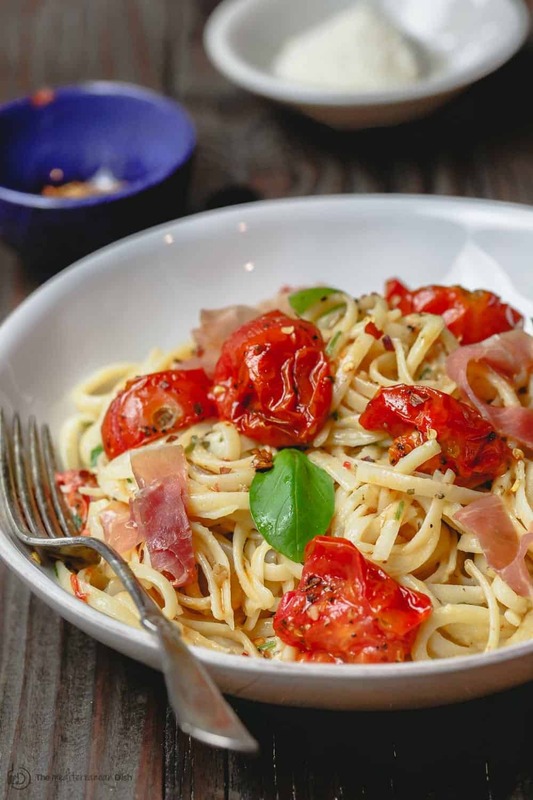 What a great twist on the classic carbonara! 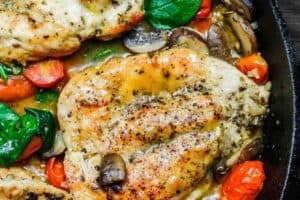 Thanks for sharing your tip for the sauce too! This looks crazy good. 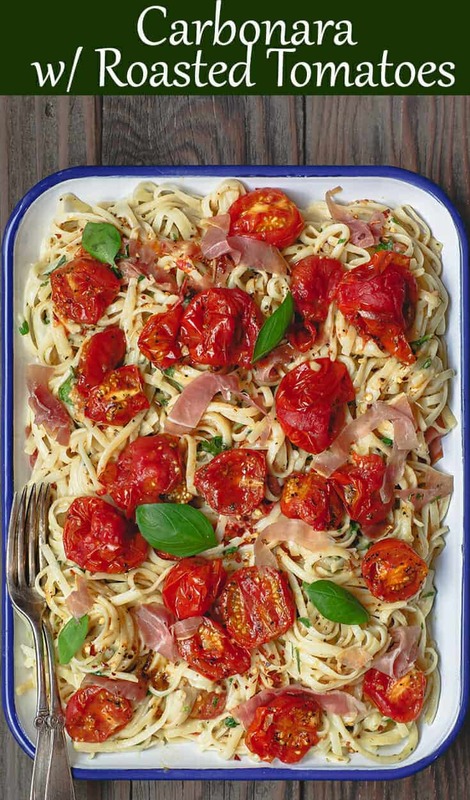 Love the touch of roasted tomatoes! 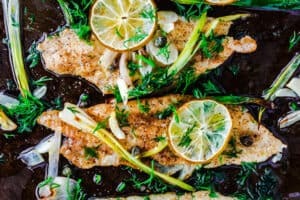 Love this beautiful italian dish! So pretty and amazing flavors! I needed this in my life! Thank you!